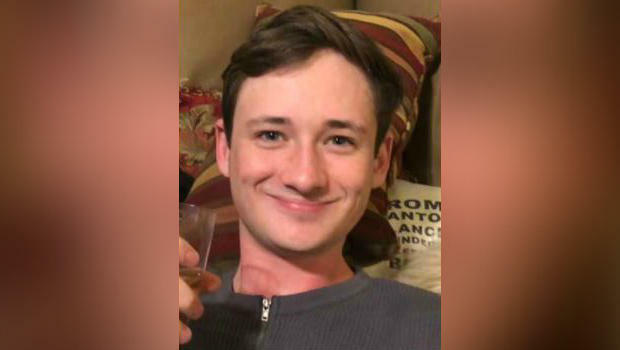 SANTA ANA, Calif. -- Authorities say 19-year-old University of Pennsylvania student Blaze Bernstein, whose body was found buried in a shallow grave at a California park, had been stabbed more than 20 times. No weapon has been found. The Orange County Register reports that authorities are investigating whether the killing was an act of rage. Orange County Undersheriff Don Barnes says 20-year-old Samuel Lincoln Woodward of Newport Beach was arrested and taken into custody Friday on suspicion of homicide after DNA evidence linked him to Bernstein's death. Barnes says the two knew each other from high school. Police said they arrested Woodward at 1:15 p.m. local time on Friday and said they believe Woodward picked up Bernstein at his home and drove to multiple locations before they arrived at Borrego Park on Jan. 2. Woodward was interviewed by police, who described him as nervous and said he had scratched hands and dirt under his fingernails. Officials said Woodward became the primary suspect due to inconsistencies in his story. The Register claims detectives found Bernstein's blood on a sleeping bag in the back of Woodward's rental car. The newspaper also reported Woodward told investigators that Bernstein kissed him on the lips and that he pushed Bernstein away. Search and rescue crews looked for Bernstein for several days, with assistance from drone pilots. The college sophomore's body was found Tuesday in a shallow grave in the brush surrounding the park, police said. CBS Los Angeles captured video of the suspect in handcuffs as he was escorted by investigators Friday afternoon. Bernstein's death rocked the tight-knit community 50 miles southeast of Los Angeles. Hundreds held a candlelight vigil to remember him. We are saddened to hear, on the day we laid our son to rest, that gruesome details of the cause of his death were published. Our son was a beautiful gentle soul who we loved more than anything. We were proud of everything he did and who he was. He had nothing to hide. We are in solidarity with our son and the LGBTQ community. There is still much discovery to be done and if it is determined that this was a hate crime, we will cry not only for our son, but for LGBTQ people everywhere that live in fear or who have been victims of hate crime. Now is the time to set aside fear, ignorance and judgement. It is time to love. Love each other. Be good. Do good and honor Blaze's memory. #dogoodforblaze blazebernstein.org.